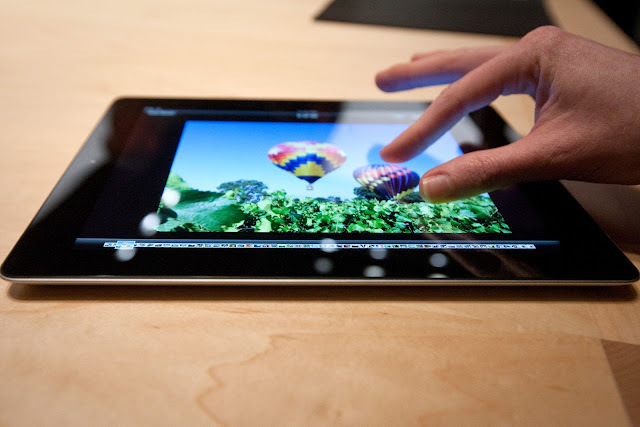 HIGHTECHHOLIC: Apple still the king of tablets! The report refers to the second quarter of this year, in which Apple has 69.6% market share. To be exact, 17 million iPads were delivered, iSuppli reported, compared to last year's 11.8 million. "Apple is making all the right moves to rebuild its dominant position in the tablet space." said Rhoda Alexander, director, tablet and monitor research for IHS. "The company is pushing visual performance boundaries with the new iPad, while providing value customers with a lower-priced alternative, the iPad 2." Apple shipped nearly 29 million tablets this year in total, while, for comparison, his biggest competitor Samsung delivered "only" 4,5 million (2,2 million of which are in the second quarter). Samsung thus is second with 9,2% market share. "With the expected entrance of the 7-inch version of the iPad in September, Apple is sending a clear message that it plans to dominate this market over the long term." Also, according to him, a key component of Apple's success is that the whole ecosystem was well developed before they enter the tablet market, as well as the absolute control of the hardware and software. Amazon is third with 4,2% and Asus is forth with 2,8% of market share. Alexander also thinks that Google, with the Nexus 7 tablet, and Microsoft, with Surface, have potential to one day dominate this market. "Microsoft in particular will be one to watch," he stated. Also, Microsoft announced that Surface will cost $199, so this statement is not so far from the truth. The full report.